Hushpuppies are a good source of grain with every meal. Mix 5# mix w/ approx 2 quarts of water. Let sit for 7+ minutes. Drop by rounded teaspoon into 375F water. Fry 2-3 minutes or until golden brown. 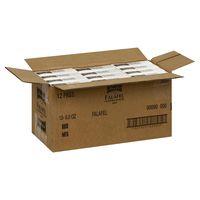 Optimum storage at 80F or less in a clean, dry area. 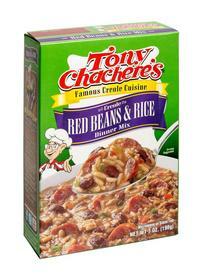 Tony Chacher's Red Beans & Rice 7oz.